Unlock your potential as an innovator and leader. Explore and master the skills needed to effectively lead an independent school community with a master’s degree in Independent School Leadership from Vanderbilt University. You’ll partner with current and aspiring independent school leaders who bring an incredible depth of experience and expertise. Together, you’ll work to navigate the complex educational, political, social, fiscal, and moral dimensions that independent schools face today. In the end, you’ll be prepared to reach higher levels of achievement for your career and the independent schools you seek to serve. Most of the coursework in this 15-month program is completed over the course of two summers in Nashville, allowing you to maintain your current employment. Online coursework over the traditional academic year bridges the two consecutive summer sessions. Throughout the 15 months, you’ll have access to experts in the field and will be advised by a board of outstanding independent school leaders who assist faculty in approving, evaluating, and providing feedback on research and fieldwork products. Program Director: Patrick Schuermann, Ed.D. Dates for Summer 2019. Students can move into dorms or local accommodations the weekend of June 15 - June 17, 2019. Orientation is Tuesday, June 18th. Day 1 of classes is Wednesday, June 19th. We will be off for the 4th of July holiday inclusive of July 3-7. The final day of the summer session is Friday, July 26th. Students can move out of dorms or local accommodations during the weekend of July 27th. The 30-credit hour master’s degree program includes two intensive summer sessions in Nashville that bookend a fall and spring semester of online work. It’s an approach that blends school-based research and practice throughout. 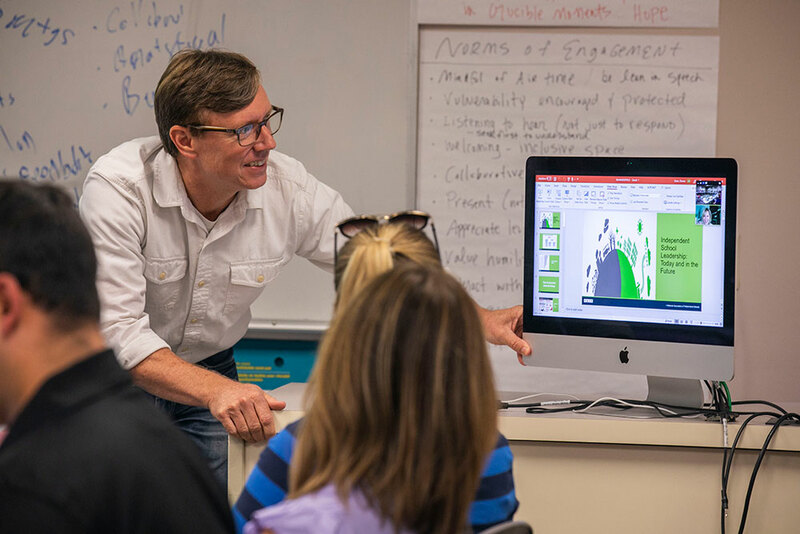 During your summers in Nashville, you’ll collaborate with independent school leaders from around the country as you complete coursework and gain hands-on experience with area independent schools. During the school year, you’ll continue to build your proficiency by completing exercises aligned with the content covered over the summer sessions. The curriculum for the Independent School Leadership master’s program aims to address the full breadth of topics essential for leading an independent school. You must pass a comprehensive exam at the end of the second semester. World-class specialists from across the university and renowned expert-practitioners from the independent school community have collaborated to create this leading-edge program. It draws on decades of leadership development, research, and practice to present professional education at its best.